I just want to thank you all for all your kind, supportive, and sweet words on my last post! This reminds me that kindness and good people do exist. Sharing my journey is not always easy, but knowing I have a supportive community that always has my back helps me continue to have a positive outlook on life. So thank you all again! You have no idea how ecstatic I am that this week is finally over. The anxiety of this week was overwhelming. So yay for Friday! Last time I wore this cold-shoulder sweater was around the holidays and I decided to re-wear it again. I just love any top that exposes the shoulder haha. Am I the only one?! I know this looked similar to the last outfit, but I just can’t resist pairing it with black distressed jeans. This time around I wanted to accessorize with a wool hat. 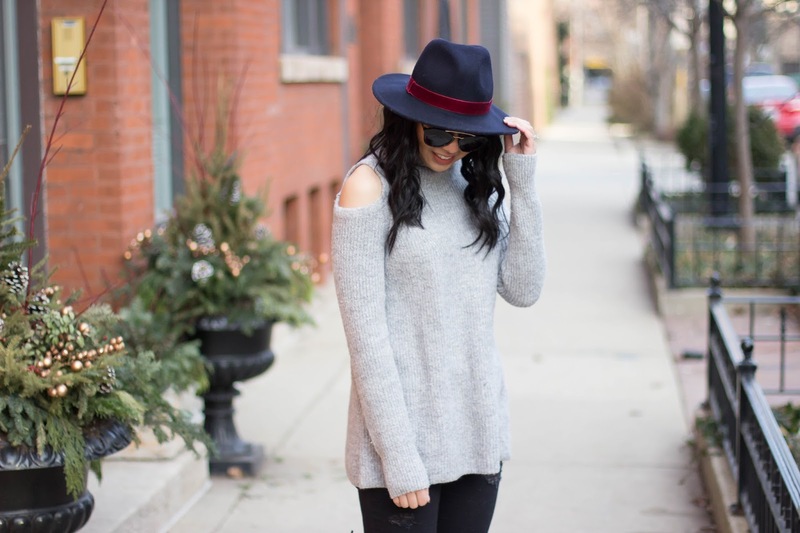 Something about wearing a wool hat transforms an outfit. It is probably why it is my favorite accessory. Do you guys have a favorite accessory? Nice pictrues….Hate with over knee boot is mind blowing…. You know I love my hats! They are probably my fave accessory, too. But I'm also loving your cold shoulder sweater and sunnies. They're seriously the best accessory! Cute hat! Love the colors. Loving your cold shoulder sweater. Hope you have a restful and fun weekend after this stressful week! Oh my gosh girl! I just read your last post and you are a rock star! It made tear up reading your post. Thank you so much Kacie!! They really are! Happy weekend Jackie! Loving your hat! great look! Thanks Jen! They're so fun to wear. I love this hat it is so cute. Totally feel you on the hat thing! I've turned into such a hat lady, and I'm not one bit ashamed. They totally take your outfit to the next level. I love the navy and red combo of the hat, plus it looks so good on you! Cute look!! I love this whole outfit! Hats look awesome on you. Always know that we are with you dear, you are not alone in this journey we are here for moral support and prayers. 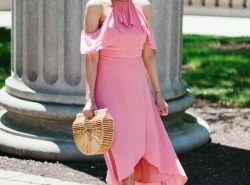 I do love some off shoulders too and it's no secret that you have a thing for hats. This whole outfit oozes chic and edge!! Thank you so much for your kind and sweet words! I love hats like this, they take every look up a notch! So chic! Scarves are usually my go-to accessory. Yes, scarves are amazing accessories! 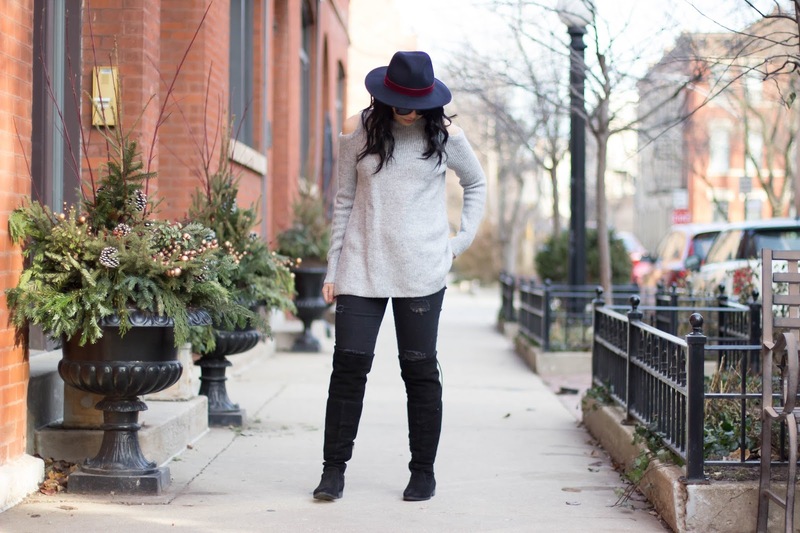 Rach, this sweater is so cute I love how you paired it up with the hat and the boots! 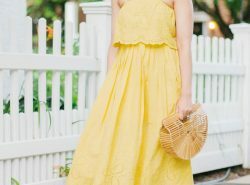 I love this look, and your sunny outlook on life! That sweater is so cute and I love your hat! I can't believe it is from F21. It looks so much more expensive. I hope you had a great weekend! I think i should nickname you…The gal in love with hats.But they suit you incredibly.Looking beautiful as always.